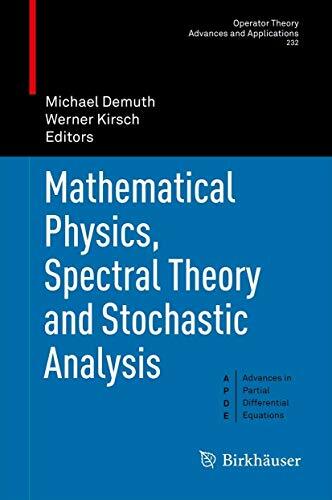 [PDF] Mathematical Physics, Spectral Theory and Stochastic Analysis | Free eBooks Download - EBOOKEE! Description: This volume presents self-contained survey articles on modern research areas written by experts in their fields. The topics are located at the interface of spectral theory, theory of partial differential operators, stochastic analysis, and mathematical physics. The articles are accessible to graduate students and researches from other fields of mathematics or physics while also being of value to experts, as they report on the state of the art in the respective fields. No comments for "[PDF] Mathematical Physics, Spectral Theory and Stochastic Analysis".